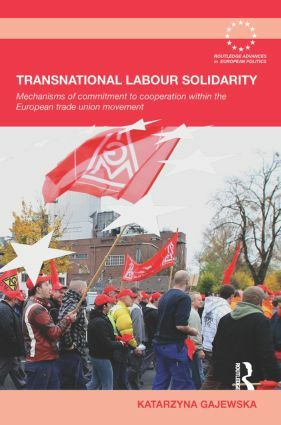 The book examines the integration of European trade union movement and explores the prospects for European or transnational solidarity among workers. Contrary to much existing research and despite national differences, Gajewska examines how trade unions cooperate and the forms in which this cooperation take place. Drawing on four case studies illustrating experiences of Polish, German, British, Latvian and Swedish trade unions in various sectors and workers’ representatives at a multinational company, this book investigates the conditions under which trade unions and workers formulate their interests in non-national / regional terms, and analyzes the character, limits and potentials of solidarity in a transnational context. Seeking to generate a new theory of European integration of labour and to contribute to sociological approaches on the European integration and Europeanization of society, this book will be of interest to students and scholars of European politics, European integration, labour/industrial relations, trade unionism and sociology. Why and how to study European solidarity?